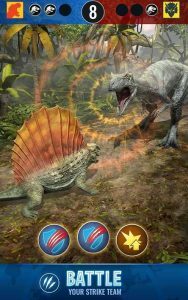 Downloading Jurassic World Alive APK is now possible because its now soft-launched in few countries. A new augmented-reality mobile game inspired by the movie franchise Jurassic Park allow users to create and fight dinosaurs. The game announced on March 7 and its called “Jurassic World Alive.” and not the Jurassic World Go Like Pokemon Go. Mobile game developer Ludia has partnered with Universal to help create the experience. 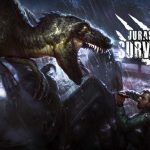 Since a Movie Jurassic World Fallen Kingdom is releasing soon it might help this game building more audience. 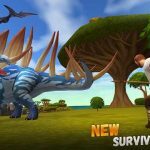 Jurassic World Alive MOD APK MOD APK for Joystick Button and Unlimited Battery is added. Dinosaurs are everyone’s favorite creatures. 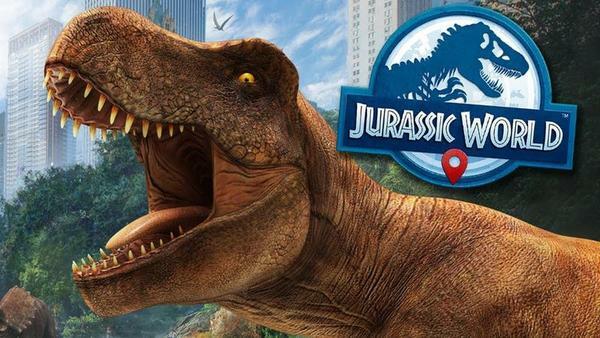 when it comes to movies and games you might think of T-Rex and all other Animals seen in movies. 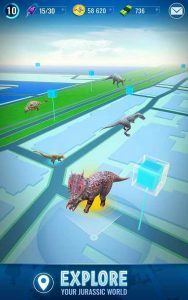 Right now Ludia offering a Game where you can capture and hold of 100s of your favorite Dinosaurs. 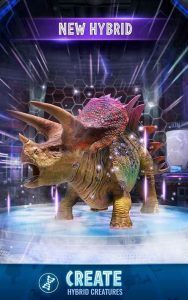 JWA’s Requirements of Downloading Jurassic World Alive APK is as low as pokemon Go is. You will need 4.4 android or up and few hundreds of MBs of space in your phone. Simply download the Jurassic World Alive APK and Install it in your phone. 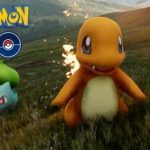 Game uses Real Time Locations just like Pokemon Go so you will have to allow locations for it. MOD and Instructions Provided by RoyalGamer From Andropalace.org. 5. 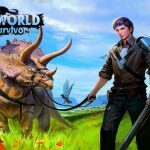 Head back to Jurassic World Alive MOD APK (By RoyalGamer) and use Joystick button to move on the MAP. Please do your magic fast, update dropping any moment. Game is in maintenance. Anxiously waiting for your update. New 1.7 version/patch coming early next week. Will be be able to update yours then? I will message here again when available. For sure not banned because of this mod as mine is still working and ok.
Is it going to be updated? I tried 3 links and they are all filled with bad pop-ups and one even installed a fake apk (virus) that gave me a lot of trouble. Which link shud I pls use? I think its working fine. i have double checked it. Just an advance message that coming Monday new update is coming. So please will be god if you can do your awesome work as soon as got time on Monday. Update just hit the play store. Can you please do your magic as soon as possible? And also keep update over existing version compatibility. It has been three days i tried a lot. Uninstalling , Downloading again and installing again but it always give error that cannot connect to server. Please RG save me ? Not working . It always give error can’t connect to server. No brother it’s giving me again the same error. Please check or update the app. It’s not completing the installation of the new apk. Is it happening to someone else? I am waiting badly too. QUERY APK? Is it correct? App working for me. If its giving FB connection error then either uninstall your facebook App or disable it. Then start game and login to FB using the browser page opened inside game. Then you can use it. Kindly provide us an updated version for the new release out today. a new update is out – I would be happy if you continue your great work. Just out on play store. Waiting anxiously for update from you @RG. 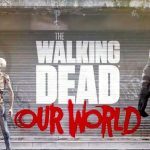 New update likely coming in few hours. Will be good if you can have your version ready soon after. (and will be good if its upgradeable over existing one from you please). RG, sorry update coming tomorrow. Like in 15 to 16 hours. Will be good if you can make release sooner. Updated again today November 1st stop working this apk. Is there anyway to get unlimited coins or cash in game pls? do those online coin/cash generators even work ..the stuff that force u to download and reach certain levels on other games ..and/or make u fill out couple of surveys ? Device root or not, if i installed flygps. Cant load my data using facebook :( Invalid Key hash! Greetings. How do I enter the MOD with my Google Play account? and here i uninstalled the game yesterday thinking the game has been abandon as no update lol. Thanks for the update RG any tips on the install I have successfully installed all of your previous versions but this won’t get past the App not installed failure. It has the correct permissions and my play store has been disabled and all previous versions deleted. PLEASE!!!! Update New Version 1.4.11!!!!! Google play no se conecta. Que alternativas hay. que no sea iniciar de nuevo? so fast with the new update. would be nice of you could make a new version due to the Update. Update 1.4.11 is up. Can you please do something for it @RG? Any idea when the mod version of 1.3.11 will be available? Working perfect, but joystick do not work. Hi RG , can you please add these features? Press “back button” during hunt once to kill dino and get max possible DNA, no dart will be used. No signal found on your device. Make sure the application has permission to access your location. HI, i have a problem with a google play login! Uninstall your FB App or Disable FB APP then try login.